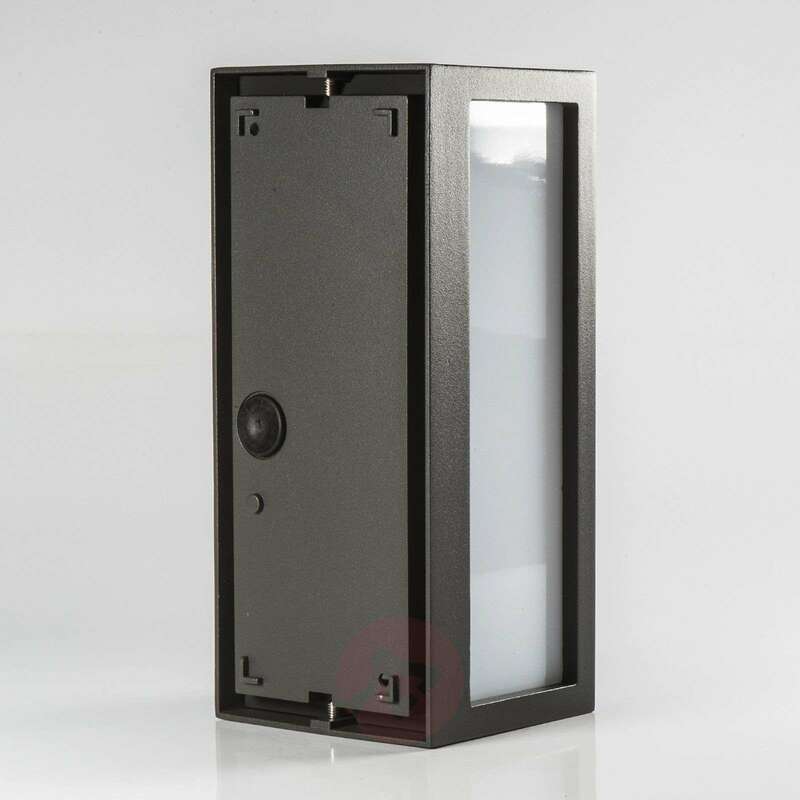 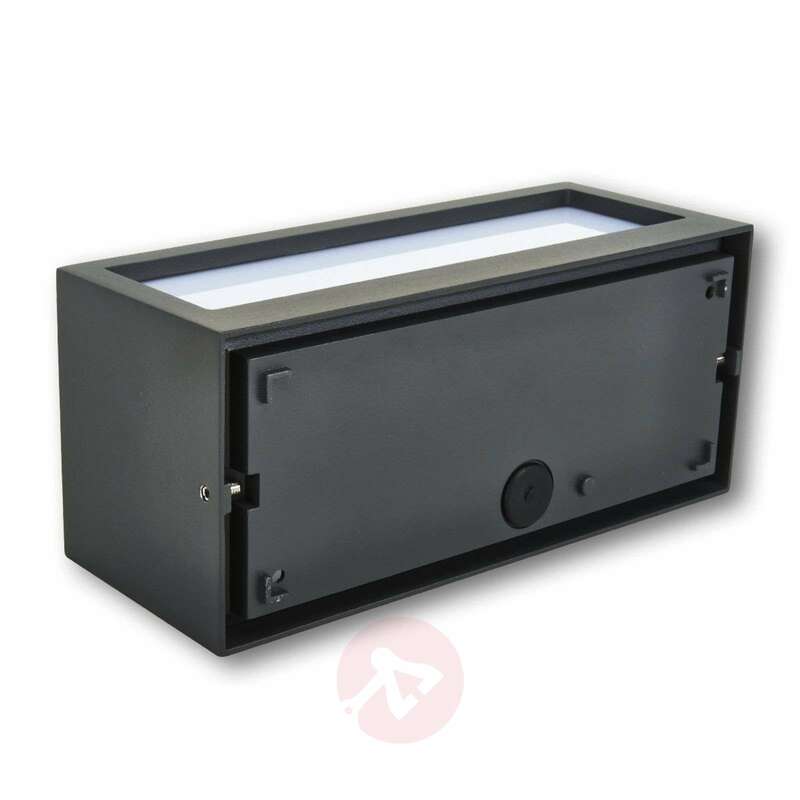 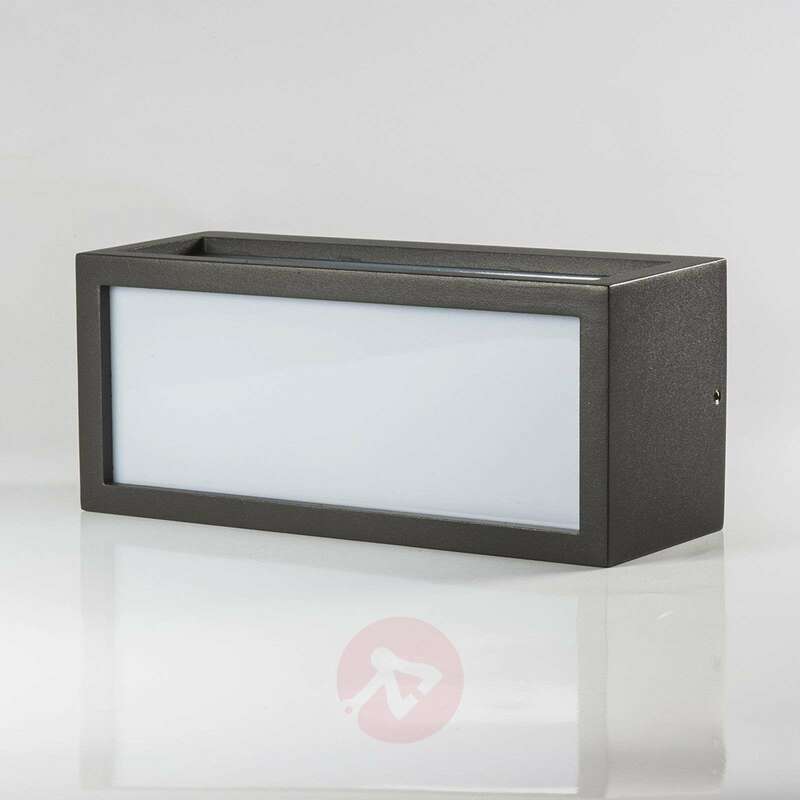 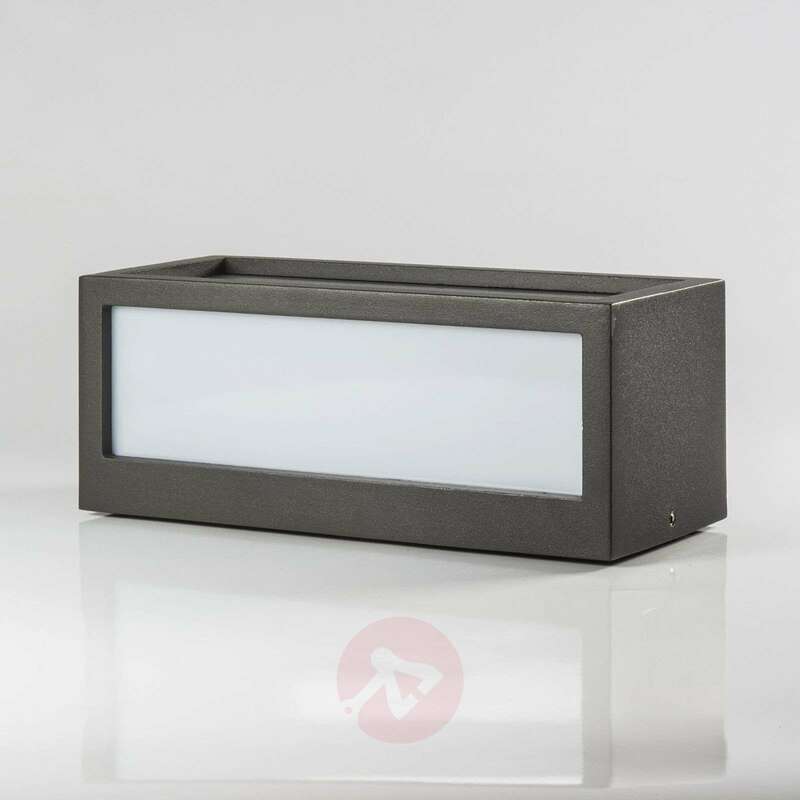 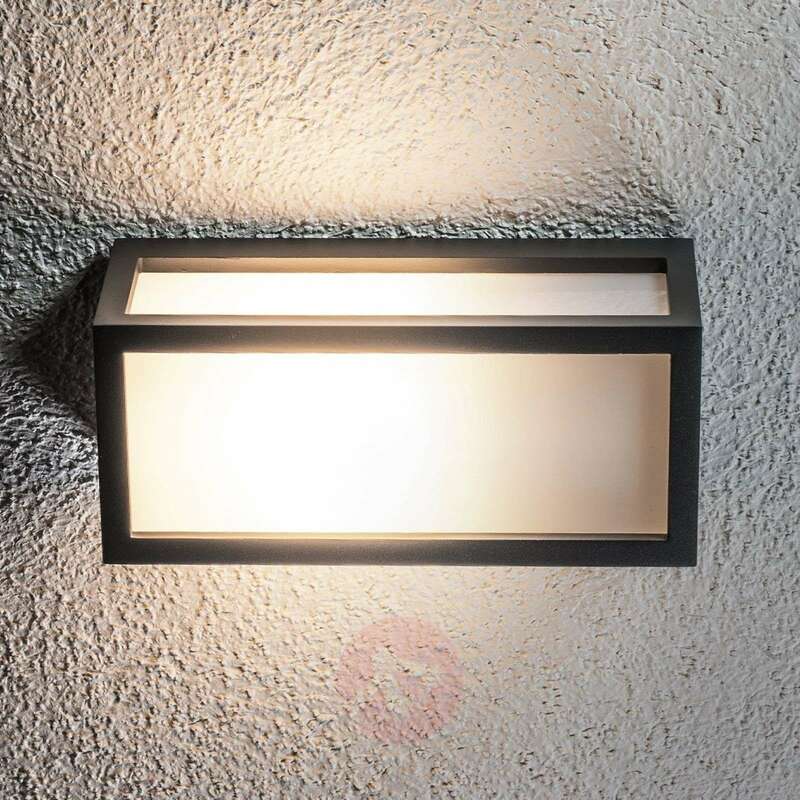 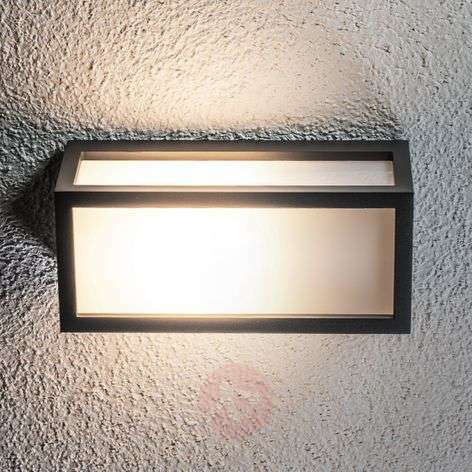 This outdoor wall light with the protection type IP54 does not only provide beautiful and consistent light, which is caused by the opal white inserts, but rather with its graphite grey frame it also comes across as stylish and modern in a discrete manner so that beautiful accents on the house façade or another type of brickwork can be created. 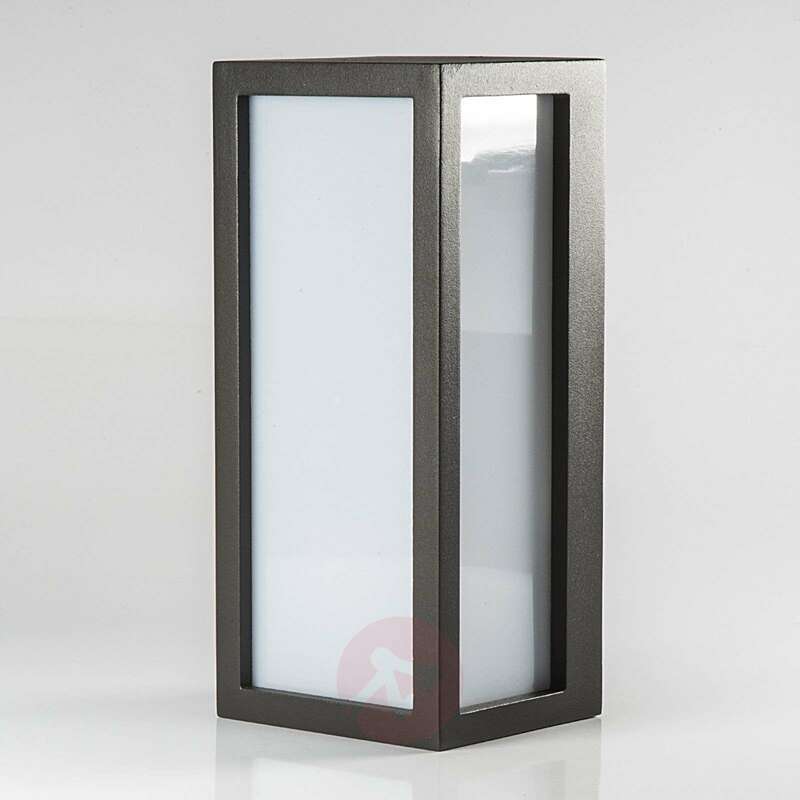 The fact that the inserts are made of robust polycarbonate represents a great advantage, because it is far less fragile than glass and outdoors, a light is exposed to a few influences by wind and weather, which cannot do much against this material. 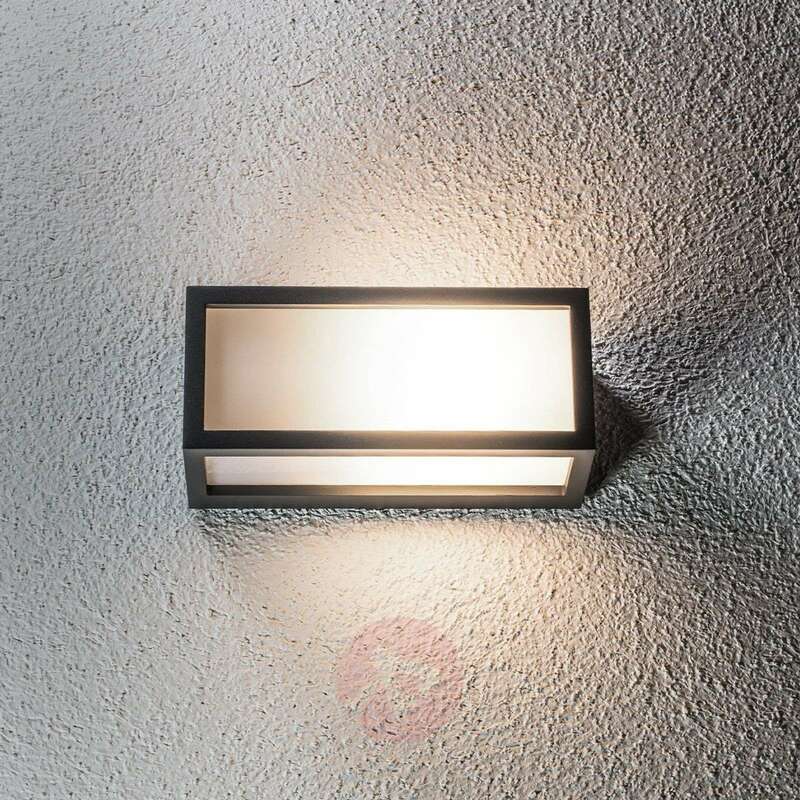 The outdoor wall light is equipped with an E27 energy saving light bulb up to 18 W so that the power consumption can be kept low.